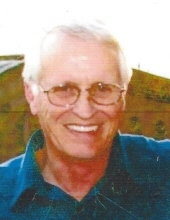 Thomas Ray Vance, 71, husband to Sharon Glass Vance, passed away Thursday, November 29, 2018 in Georgetown, Kentucky. Born on April 11, 1947 in Scott County, Kentucky, he was the son of Thelma Barkley Vance and the late Carl Vance. Thomas was a member of Turkeyfoot Christian Church, a graduate of Scott County High School, member of National Wild Turkey Federation, Duck's Unlimited, and the National Rifle Association. He was a retired employee of Verizon. Thomas was a Veteran of the United States Navy. Along with his mother and wife, he is survived by son, Mark Thomas (Amanda) Vance of Stamping Ground, Kentucky, stepson, Cody Hughes of Georgetown, Kentucky, daughter, Lisa (Joe) Costa of Georgetown, Kentucky, grandchildren, Derak Jones, Tye, Cameron, Jordan, and Shane Vance, Spencer Cains, and Jade Costa, and great grandchild, Kaydan Jones. Thomas is also survived by brother, John (Susan) Vance, and sisters, Linda (Dave) Harris, Brenda (Ed) Wells, and Debbie (Randy) Hammons, all of Georgetown, Kentucky, and mother-in-law, Ann Glass of Stamping Ground, Kentucky. Thomas was preceded in death by his first wife and mother of his children, Ann Chowning Vance, and a brother, Robert "Bobby" Vance. To send flowers or a remembrance gift to the family of Thomas Ray Vance, please visit our Tribute Store. "Email Address" would like to share the life celebration of Thomas Ray Vance. Click on the "link" to go to share a favorite memory or leave a condolence message for the family.